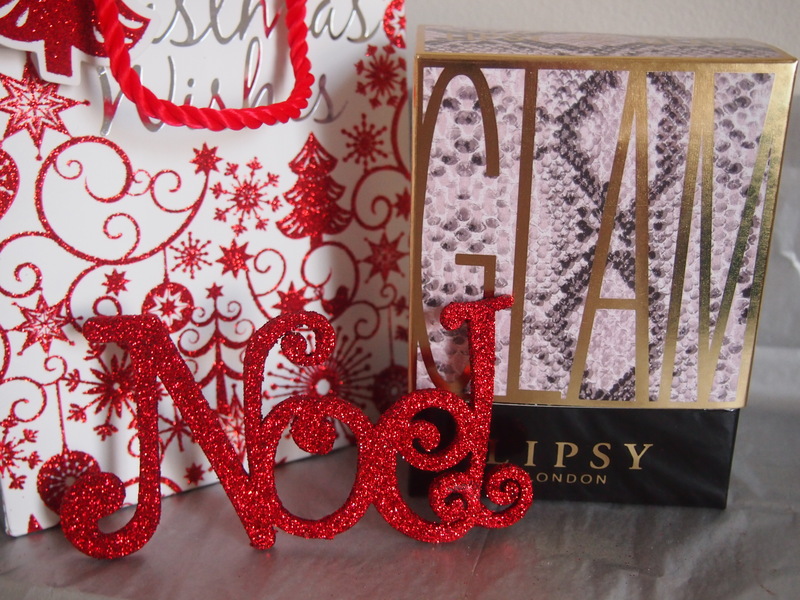 If you are looking for a great girlie Christmas present to suit all ages and tastes you can’t go far wrong with the new Lipsy London Glam perfume. 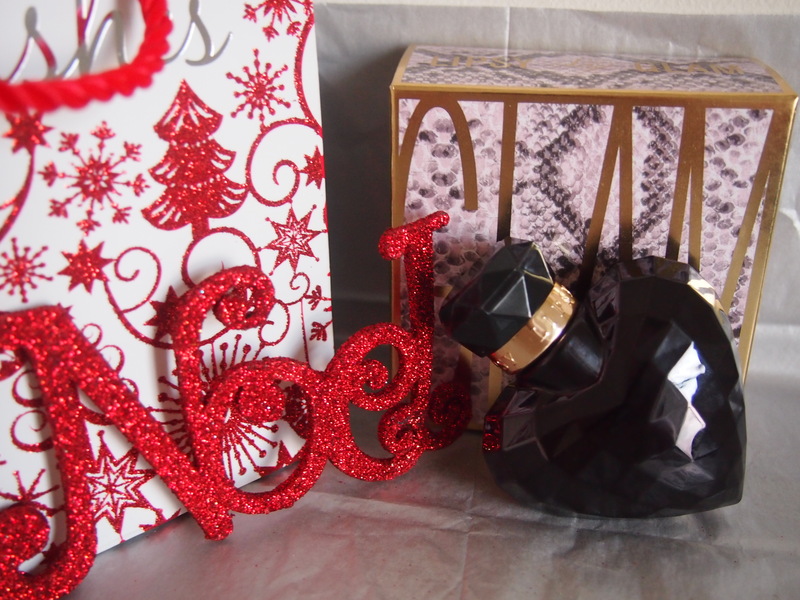 It comes in modern, glamorous packaging remininscent of the more expensive Jimmy Choo snakeskin print and there’s a handy slip off sleeve to reveal the gorgeous little bottle. 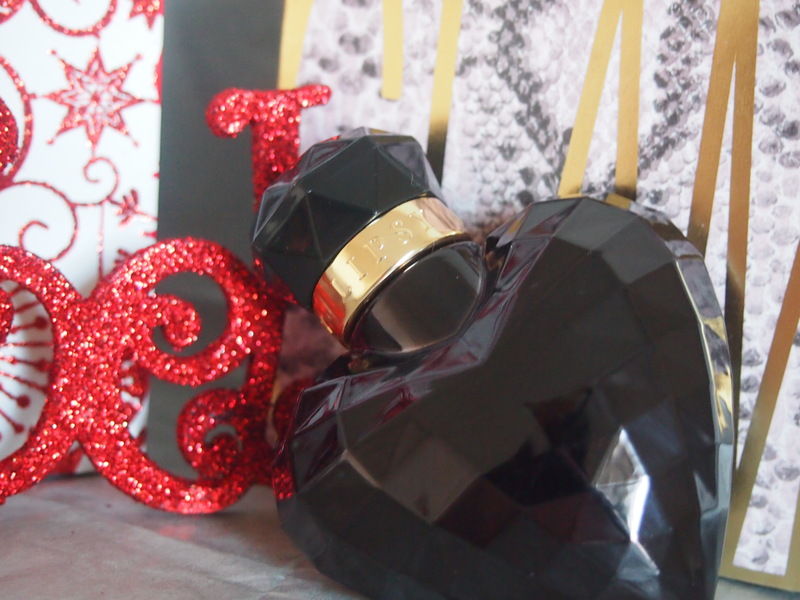 Nestled in the packaging is the chic black bottle, shaped as a love heart. Although it doesn’t have an actual base for standing upright on your table which is the only downside you can tip it on its side or wedge it between the goodies on your dressing table. There’s also the cute lid with gold embossed trim. But always with fragrance – if the juice inside is amazing then the bottle matters not. This is definitely a style over substance perfum, it looks and smells pretty but lacks the depth of similar products such as Jimmy Choo or Angel. Thankfully the price point reflects this so it’s a great buy for someone who doesn’t have the budget for a £50/£60 designer brand but wants something similar. Honey sweet and delicate with fruity edges and a floral heart, it’s a girlie fragrance which suits day or night wear and soft enough that your boyfriend will like it without finding it overpowering. Lipsy perfume embodies the outlook of the brand – sassy, confident girls who enjoy the lively city life but don’t want to spend cash on designer goods.